If you use Gmail on the web, then adding handy browser extensions can save you time and boost your productivity. With notifiers, schedulers, trackers, signature creators, and similar tools, you can easily reduce the time you spend with your messages. For simple ways to improve your productivity How to Use Google's Productivity Tools to Maximize Your Time How to Use Google's Productivity Tools to Maximize Your Time Google Keep, Google Calendar, and Gmail are productivity tools that can help you manage your time. We demonstrate how you can use Google's free tools to optimize your workday. Read More when using Gmail, check out these awesome Gmail browser extensions. When you are working hard online, but waiting for an email from a certain person or regarding a specific topic, Gmail notifications can come in handy. This lets you continue to work, research, or study without checking your inbox constantly. Checker Plus is a terrific browser extension for this because it provides desktop notifications that pop up for new messages. 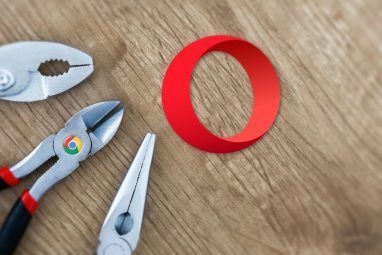 In addition, you see your unread email count in the toolbar and can take care of basic inbox management 11 Chrome Extensions That Will Super-Power Your Gmail Experience 11 Chrome Extensions That Will Super-Power Your Gmail Experience Google makes the Chrome browser and Google makes Gmail. Naturally, you have some great Chrome extensions to make your Gmail experience better. Read More without ever opening Gmail. Click the Checker Plus button in your toolbar and mark items as read, compose a new email, or perform a search. For an individual message, you can archive or delete it, mark it as spam or as read, or just click to read it in full. Checker Plus offers a variety of settings that you can configure to make it work better for you. From notification sounds and message actions to multiple accounts and Gmail labels, the extension is full of features. Keep your eyes on your work instead of your inbox with Checker Plus. You may want to schedule an email to be sent later or just be reminded of it. Right Inbox for Gmail does both of these things as well as let you add notes and create recurring emails. For email scheduling, you can select from one, two, or four hours, tomorrow morning or afternoon, or pick a specific date and time. The reminders also give you options so you can be notified only if no one responds and choose what you would like to do in that case. For example, you can have it return to your inbox, mark it as unread, or apply a label. You can also set the reminder for a specific time if you prefer using the same options as the email scheduler. You can also quickly add a private note to an email you receive, send, or compose. Right Inbox for Gmail offers these features for free for 10 emails per month, but with a paid plan, you gain an unlimited quota and the recurring email feature. If you are considering buying an email scheduler, Right Inbox for Gmail is a great try-before-you-buy extension. Or just use it for free if the quota and features work for you. When you need a fast and easy way to unsubscribe to emails or block senders, Cleanfox for Gmail is ideal. After you install this extension and open an email, you will see options in the top right corner of the message. You can view the number of emails from that sender and the open rate percentage. Then, choose from unsubscribing and blocking the sender, removing the emails from them, or creating a filter. If you click the Cleanfox button, you can head to the website, sign in, and get a rollup of emails you can delete or unsubscribe to with a click. This is also a quick way to clean up your Gmail inbox. Cleanfox also works with Outlook and Yahoo, so you can take care of more than one email account, which is super convenient. For keeping track of if and when your emails are opened, check out Mailtrack. When you compose your message, just click the tracking button and it will turn green. You can optionally receive a notification by clicking the bell button next to the tracking button. Then, continue with your message or send it on its way. For an email you track, you will see a green checkmark in your Sent Mail folder next to the message. Once an email is opened, both checkmarks will turn green. This is a convenient way to scan for those messages. However, if you enable the notification, you will get an email right to your inbox from Mailtrack showing how quickly your email was opened and the exact sent and read dates with times. If you click the Mailtrack button inside your Gmail at the top, you can adjust your Settings for notifications, alerts, reminders, and link tracking. Messages you track will be sent with the Mailtrack signature which can be removed with a paid upgrade if you like. But for simple tracking you can see at a glance instead of wondering if your recipient even opened your email, Mailtrack is awesome. If you want a tool for creating a standout email signature, WiseStamp is a good choice. You can visit the website to create or edit your signature by clicking either the icon at the top of your Gmail or at the bottom of your compose window and selecting Edit Signature. Now, you can really get creative. Add your signature details like name, phone, and website. Include a photo or your company logo if you like. Then, add a social media profile link for Facebook, Twitter, or LinkedIn. These are all optional, so you only have to include the items you want. WiseStamp gives you tools to create a simple signature for free, but with a paid upgrade you can do more, of course. Create multiple signatures, adjust the font and social media icon sizes, and use premium templates for a professional appearance. 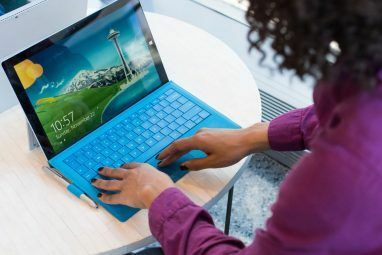 But, for free, you can add a nice signature into your messages How to Manage Your Email Signature in Outlook How to Manage Your Email Signature in Outlook Email signatures have many benefits. We'll show you how to create, add, format, and change your signature in Microsoft Outlook. It's easy and effective. Read More with a click using the WiseStamp extension. Have you ever received a form via email that you needed to sign? You have to download it, print it, sign it, scan it, and return it, right? Well, HelloSign is a Chrome and Safari extension for Gmail that lets you sign forms and documents right in your browser, avoiding all that extra work. Once you install the extension and sign up for a free account, you will see the Sign option next to the download and Google Drive buttons on the document in your message. Click it and a window will pop open with the document. You can then add your signature, initials, a checkmark, and the date by selecting the spot in the document and hitting the corresponding button to insert it. For signatures and initials, you can use those you save with HelloSign or draw, type, or upload an image. When you finish, click Attach and the signed form will be attached to a reply in the original message. You can work with three documents per month for free, but if you need to sign more than that, you can check out HelloSign’s paid plans. 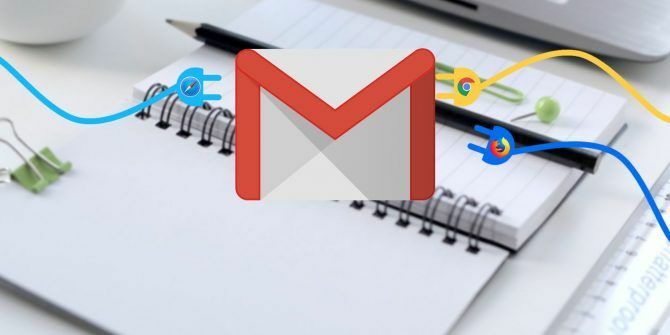 One final extension you should definitely check out for Gmail 13 Quick Tricks and Extensions to Become a Gmail Power User 13 Quick Tricks and Extensions to Become a Gmail Power User If you are a Gmail user, you have an endless stream of tricks and extensions to make the best of it. We'll explore some of the best of them in this article. Read More is Gmelius. This is a fantastic all-in-one tool for tracking, scheduling, reminders, notes, tasks, and templates. For scheduling, you can pick from one, two, or four hours, later today, tomorrow morning or afternoon, this weekend, or next week. You can also choose a custom date and time, add a follow-up, or set the message to recur. Track emails with the click of a button, unsubscribe to those you no longer want to receive, and add a private note for yourself. Gmelius offers templates you can use to speed up composing your messages. You can select a meeting, referral, or welcome template. Plus, you can save your current email as a template or create one from scratch. What makes Gmelius even handier is the to-do feature. 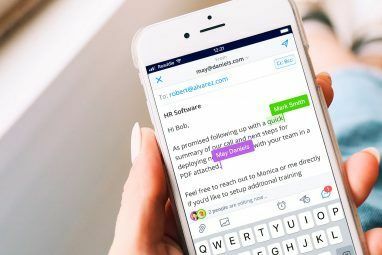 You can turn any message into a task How to Turn Gmail Into a To-Do List and Calendar With a Chrome Extension How to Turn Gmail Into a To-Do List and Calendar With a Chrome Extension Looking for an easier way to connect your emails or to-dos to your calendar? Look no further than Handle for Gmail. This Google Chrome extension will fit into your routine and boost your productivity. Read More due today, tomorrow, or at a point in the future. Then, click the To Do List label and view your tasks on a Kanban board. There, you can prioritize them, mark them complete, or drag them to another due date. You can create a new board and switch between multiple boards easily. Gmelius lets you try all of these features for free and then limits them to tracking and customizations after the trial period ends. But, if you enjoy using the tool, you can upgrade to a paid account. Which Gmail Extension Makes You More Productive? Whether you need notifications so you can keep working, reminders so you don’t forget a follow-up, or a removal tool so you can quickly clean your inbox, these extensions have you covered. And for more productivity tips for Google products, take a look at this helpful article Dive Into More Google Productivity Tips and Tricks With These 5 Courses Dive Into More Google Productivity Tips and Tricks With These 5 Courses Google is one of the most powerful productivity tools ever invented. But do you overestimate your skills with the different tools it provides? Try out one of the Udemy courses and improve your Google skills. Read More . Do you have a favorite Gmail browser extension that helps you work better, faster, or easier? Let us know what it is in the comments below so we can give it a try! Explore more about: Browser Extensions, Email Signatures, Email Tips, Gmail. I also love BOOMERANG for Gmail. Just started using Gmelius! Great recommendation - thanks! Cool! Gmail is my predominant Email source. Sweet plus, with these new additions. I'm looking forward to implementing them with my device's! Yea & thanks!